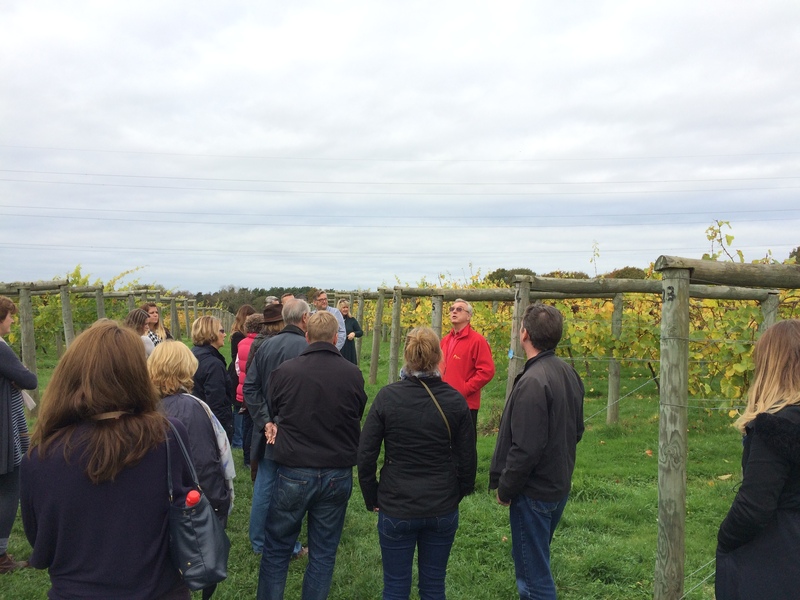 Last weekend I spent a day in the Sussex countryside touring English wineries. For once, this wasn’t to learn as much as possible to assist with my MW studies – but rather it was simply for the fun of it. I have to admit to feeling like a bit of an undercover monkey on the tour – there’s no way I am your standard consumer. On the other hand, having not visited very many English wineries before, there was just as much opportunity for me to learn something new as everyone else. So, to quote a colleague, my plan was to “not MW the sh*t out of them” and to just enjoy the day. The day began and finished in Brighton which did make for a rather early start on a Saturday morning for this Londoner. But happily the combination of a lungful of sea air and a delicious croissant handed to me as I got on the vintage Routemaster bus helped to push away the last remnants of sleep. Onto the wineries! 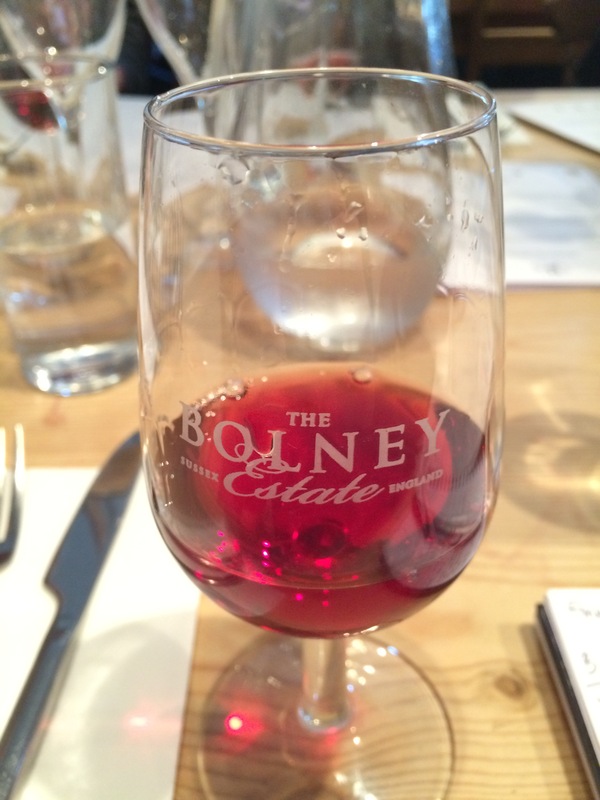 Our first stop was Bolney Wine Estate, just south of Gatwick airport. Their vineyard was first planted in 1972 and they now have 40 acres of vines- putting them in the top 10 vineyards in the country. Enough for more than a few good parties then. On arrival we were taken on a walk around one of the vineyards and everyone was keen to taste a few of the remaining grapes on the vines. These had either been missed during picking or, in the case of some of the Merlot, deliberately left as the sugars weren’t high enough. It is always a privilege to taste grapes in the vineyard – and so enjoyable at the end of the season when the sugars balance the acidity. You do have to watch out for those pesky pips though – something I think a few of our group weren’t expecting. I was surprised by how high trained the vines were – well over a metre. 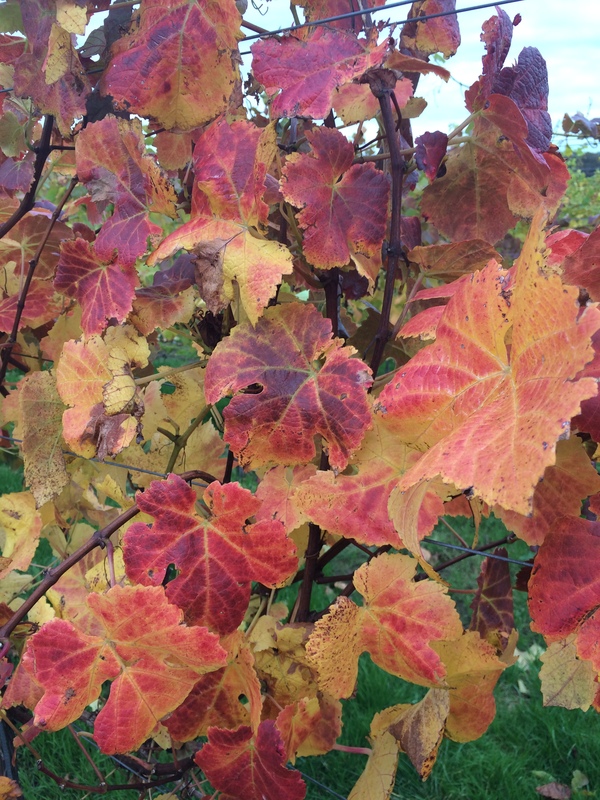 This was explained to us as a combination of keeping the buds above frost level, helping to stress the plants – and so produce better quality fruit – and also to prevent wild roe deer from eating the grapes. So after talking to us about the vineyard and harvesting the grapes it was into the winery to see where the magic happens. Which immediately brought a smile to my face with that very particular smell of fermenting wine and slight rasp of carbon dioxide. A winery in action. All of the grapes had been picked, with harvest finishing a few days before – and so ferment was in full swing. And then onto the part we had all been waiting for, the tasting. We were treated to 3 wines and then another two with lunch. 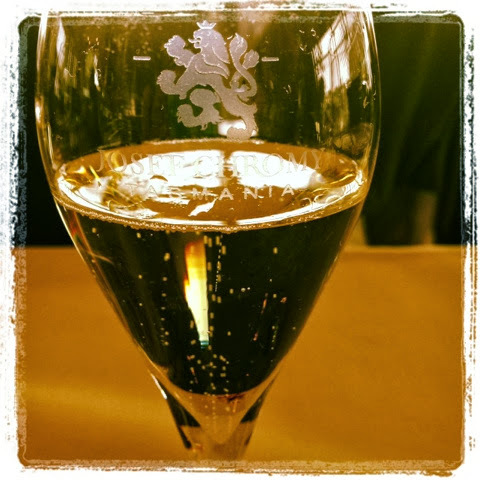 First up was the Blanc de Blancs 2009 – and the only sparkling wine of the flight. A very delicate, elegant sparkling with just a hint of biscuity autolysis. The perfect aperitif. The rosé was another highlight, a blend of Rondo, Dornfelder and Pinot Noir. Salmon pink in colour, off-dry and full of pretty red fruit flavours. The star of the tasting for most of the group and I reckon it would be a lovely wine to have with a picnic on the beach in the summer. 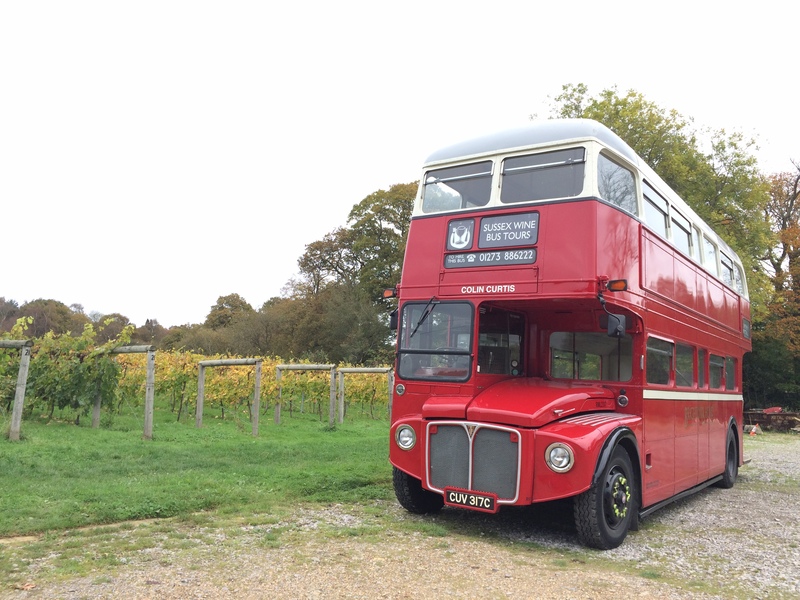 After a rather delicious lunch in Bolney’s cafe we were back onto the bus and off to Court Garden – a winery I hadn’t come across before. Family owned and run, Court Garden is a much younger winery than Bolney – their first vineyard was planted in 2005. It is also much smaller at only 12 acres and so made a fascinating comparison. Howard, the owner, first took us on a walk around the vineyards – with the tip “You’ll get the idea we’re a bit nutty here”. He then proceeded to regale us with tales of the Germans who planted the vines and their very accurate GPS systems, a guy called Rambo who they brought in to ‘remove’ the deer and a pheromone trap for light brown apple moth that is labelled on the outside “so they know where to go”. Nutty, maybe, but hugely engaging. Incidentally, Rambo let slip that apparently deer don’t like sheep – so now they keep sheep in the field between the vineyard and a nearby wood in spring to prevent the deer from eating the young buds. Although I rather got the impression Howard missed having fresh venison in his freezer..! Hugo, Howard’s son, then showed us around the small but perfectly formed winery where the gyropallets were helpfully in the process of turning – allowing for easy explanation of the process of riddling. Court Garden mostly produce sparkling wine with only a tiny amount of still, and so this was the perfect place for everyone to learn about how sparkling wine is made. 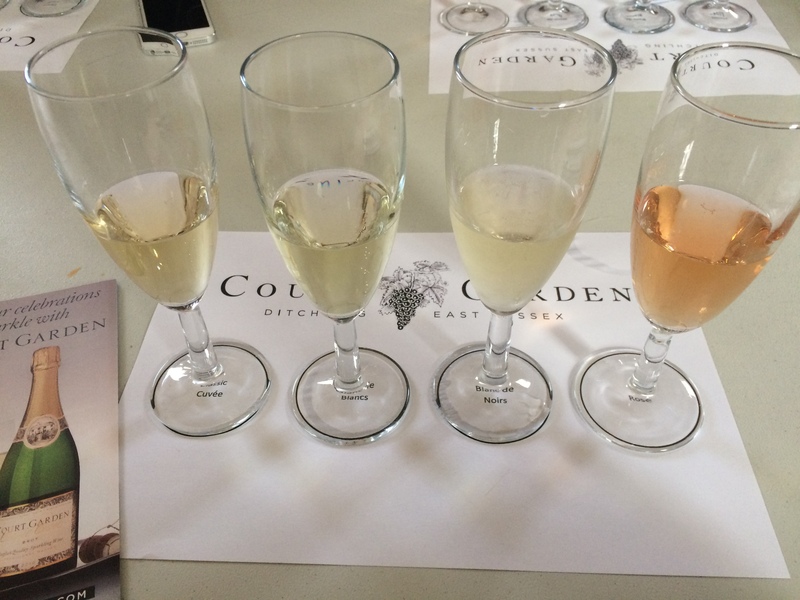 A tasting of their four sparkling wines followed: the Classic Cuvée (50% Chardonnay, 26% Pinot Noir, 24% Pinot Meunier), Blanc de Blancs, Blanc de Noirs and Rosé. Again it was the Blanc de Blancs that really stood out for me – this one was elegant with a slight minerality along with the biscuity notes. Around the table opinion was mixed between all of the wines, with the Blanc de Blancs and Rosé probably earning the most votes. By this time everyone was chatting and getting on well – amazing what a few tastes of wine will do! It was a lovely setting there in the old barn at Court Garden discussing the wines and making new friends. A timely reminder that it can be all to easy to drily analyse wine without really experiencing it. And that a good glass of wine can create conversation and bring people together. There was a definite air of excitement on leaving Court Garden – both of surprise and delight in the quality of English wines, and appreciation for the genuine people who make them. Bravo Bolney and Court Garden, you made some new fans for sure. When you think of Australia you probably think of sun, beaches, kangaroos and barbies. Mountains, cold rivers, wind and rain aren’t the things that immediately come to mind. Welcome to Tasmania. Australia, but not as you know it. In fact, having lived in New Zealand I can tell you Tasmania has more in common with the land of the kiwi than the land of the kangaroo. Both occupy similar latitudes around 42 degrees south and the mountainous landscape riven with winding rivers, green fields and spectacular coastline is a feature of both. Add to this a climate dominated by the cold surrounding oceans and roaring forties trade winds and you begin to paint a very similar picture. The similarities exist in wine terms too. New Zealand produces world class Pinot Noir. So does Tassie. Chardonnay and Riesling are equally at home in both and you can even find Syrah and Cabernet Sauvignon from the two. The difference exists in where New Zealand and Tasmania having chosen to hang their hat – which wine has become their calling card to the world. For New Zealand this is of course Sauvignon Blanc. You can’t walk into a shop, bar or restaurant these days without being offered a Kiwi Sauvignon and their distinctive, pungent aromas and crisp styles are hugely popular. A brand in its own right, for better or worse Sauvignon blanc is what New Zealand is best known for. Tasmania has chosen a different route and opted not for still table wine but for sparkling wine as its USP. Or as one winemaker wittily refers to it – Methode Tasmanoise. In Australia any decent bar or restaurant lists at least one Tasmanian sparkling and these wines are very popular. 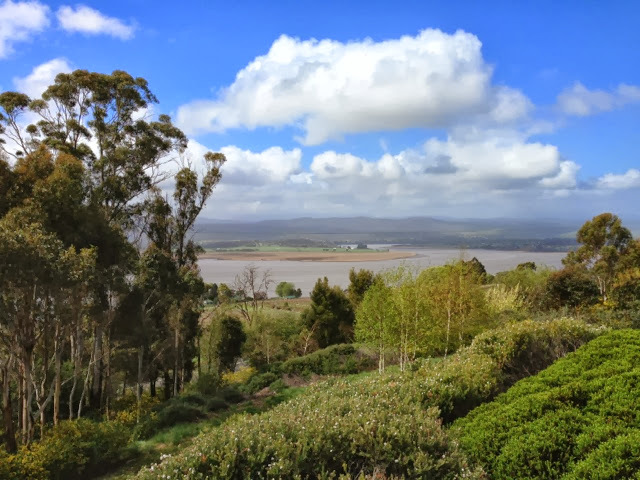 Australians as a rule seem to be very proud of these wines, perceiving them as a high quality domestic product that can be compared with anything else in the world – and they are willing to spend a decent amount of money on them. Sadly for those of us who don’t live in Australia this means we don’t see so many of these wines on our shelves. A high domestic demand means that not very much is exported and this coupled with the premium pricing (the strong Aussie dollar not helping either) means that it can be a hard sell. For consumers over here why buy a Tassie sparkling when you can buy Champagne for around the same price? Champagne has all of the attached prestige, a name everyone knows and recognises. Tasmanian sparkling, much less. Methode Tasmanoise, forget it. And yet, and yet. Having undergone a lengthy masterclass on sparkling wine in Tasmania I can tell you that there are truly great wines being made over there and frankly they can beat the pants off basic Champagne. The non-vintage styles offer seriously good value for money combining fresh apple and citrus fruit character with bright cool-climate acidity along with those lovely yeasty, biscuity notes. Far more complexity than you would expect in most NV Champagne. The rose styles had delicate perfume, creamy texture and a beautiful pale salmon pink hue. LP rose eat your heart out. The vintage styles were serious, concentrated and intense with savoury complexity and long, long finishes. Of course there were some wines that didn’t quite reach these heights but overall the tasting showed the huge quality of Tasmanian sparkling and it was a fantastic experience. The good news is that you can track down some producers over here without too much trouble. The better news is that most of the producers I talked to are interested in exporting more wine and telling the world about Tasmanian sparkling. So whilst it is unlikely Tasmanian sparkling will be as readily available as New Zealand Sauvignon anytime soon, hopefully it will become better known and appreciated.